best practice’ when we compare all the different systems, and discern which components have the most value. In this very moment in our journey in advocating for regulated raw milk in Australia, we have the potential to create miracles. The rest of the world, however, have some existing raw drinking milk (RDM) structures that need to transform, because not all raw milk systems are equal. Many are working to achieve a common goal: fair and safer production systems. In the last couple of years, structures, rules and authority around raw dairy systems around the world, have been going through a deep transformational process. Some systems are being broken down and disassembled into their constituent parts for examination. Some systems are demolished all-together. The dysfunctional parts and system flaws are being identified and scrutinised. What is left is also put under the microscope, and re-evaluated for its worth. The potential pitfalls and vague guidelines are clarified for a better understanding, and for the avoidance of misinterpretation. People are recognising that rules must be strict and appropriate for raw dairy production. Dairy farmers and consumers must also not be burdened with unnecessary, trivial restrictions. Our collective relationship with structure and rules are under examination, and also how that relates to caring for the people who require a nurturing and functional system. We are coming into a new paradigm where we are discovering that there can be a beautiful middle ground. We can get along and respect each other’s differences. The fact remains: some consumers want and need access to raw milk. important to learn how to master tools and build a successful toolkit or map. Some systems are still used in the wrong way, against the good of all. The winds of change, however, are blowing strong. Change is already in progress. As a collective, we want honesty and integrity in systems, and the raw milk movement is no different. There are unexpected blessing to be had by studying different raw dairy systems. We can culture discernment between what needs to be eliminated, and what are useful building blocks for success. People within systems, are also taking their experiences, and using them to create a more robust understanding. One of the most significant issues that have been highlighted, is that there can be a huge difference between producing raw drinking milk (RDM), and raw milk produced for the industrial dairy market. These are two different systems, with different values, and have to be managed accordingly. These differences include farming practices, like what constitutes suitable feed, and how that influences the microbial balance in the cow’s rumen, animal health and food safety. When regulated RDM systems fail to implement the right controls that make those crucial distinctions, some farmers may fail to take sufficient care, and there can be food recalls, or incidence of illness. Another concept that is now understood, is that food safety experts and health officials, who operate in the industrial dairy industry, are not necessarily experts on RDM, or RDM production. Some authorities are now actively seeking the advice and co-creation with raw milk experts to help them improve systems, because consumers still want the product, despite problems that present themselves on occasion. From a certain point of view, delayed gratification can be worth it, because once we’ve identified the non-essential and not-so-functional parts in other RDM systems around the world, we can establish a system that works in Australia. Many raw milk supporters and dairy farmers in Australia are frustrated, because it is taking too long to deliver RDM from cows to Australian consumers. It can be challenging to maintain faith and trust in divine order, because nobody is handed a complete map of the grand plan. The vision sometimes arrives in bits and pieces, and sometimes it takes years for all to fall into perfect place. However, it can be worth it, as dairy farmer Edwin Shank recently wrote after ten years as an organic, raw dairyman. Australian raw milk supporters have to learn to feel good both within the present moment, and within the slow transformational process, otherwise we will succumb to disenchantment. The Raw Milk Institute, or RAWMI consider the RDM their system produce as low risk, and this is reflected in the track record of the RAWMI-listed farmers. RAWMI's Risk Assessment Management Plan is a successful food safety plan with a 11 year track record. Chairman Mark McAfee says the risk from raw milk can now be reduced to near zero when the right controls are applied. The Food Standards Agency in the UK concluded at the start of 2018 in a risk assessment that the RDM their England & Wales system is producing, has now been upgraded to medium risk. Changes to improve food safety and quality control are in progress, by requiring both producers in England & Wales, and Northern Ireland to have a food safety program. New Zealand Ministry for Primary Industries consider the regulated RDM their system produce as high risk in this press release. MPI started a review in November 2018. The findings will be handed to the Food Safety Minister mid 2019. Raw drinking milk (RDM) quality overall is only as good as a system that lays down the right controls, properly informs producers about risks, without imposing unnecessary restrictions. Not all RDM systems are equal. Some regulated raw milk systems leave room for potential pitfalls, and for little microbial Trojan horses that can bring a raw milk industry to its knees. One potential pitfall in regulated raw milk industries, is that system architects may fail to install sufficient controls for dairy farmers who produce for both the RDM market, and the industrial dairy industry. When these farmers fail to realise how large the differences can be between the two systems, it can leave room for food safety issues to develop. These issues may be common in the England & Wales and New Zealand systems as they are right now, if you consider the setup and size of dairies linked to recent food safety recalls and incidence of illness linked to raw milk consumption. The dairies who only produce for the RDM market, and small dairies typically have a good track record. approved food safety program that is scalable to any herd size, and only produce for the raw dairy market. Farmers can effectively produce for both markets, if the system manages the two different operations on the farm separately and responsibly with appropriate boundaries. For more information on how some of these risks can be mitigated by installing a seperate herd, fed and managed differently, see this page. All other food is allowed to have a manageable risk, but raw milk is often targeted for perfection. No food can be produced to be 100% safe. In the past, the media have written about raw dairy food recalls, and pointed fingers at farmers for causing illness, however on closer inspection it may be the not-so-obvious potential flaws and vague, incomplete guidelines of systems, that have let dairy farmers, consumers and the global raw milk movement down. It may be something as simple as not specifying in sufficient detail what the herd are not allowed to eat, that can create serious problems. Many industrial dairy feeds are not suitable for the RDM herd. Significant changes must be made in the way some regulated, and unregulated raw milk systems operate around the world. It is necessary for decisions and alterations to systems, to be weighed and evaluated with the most careful and wisest of judgements. Whatever steps system architects, regulators and policymakers take, will have far-reaching consequences. The information below looks at some of the latest developments around the world. Many are working to secure a safer dairy supply. We hope this information demonstrates how dedicated some people are to maintaining access to raw milk, and how urgent it is to fix systems installed in the past, that have since revealed flaws. In the UK, both the production standards for raw drinking milk (RDM) in England & Wales and Northern Ireland have been under review, and new strategies are slowly being considered and implemented. The Food Standards Agency seem to have recognised that they need to give the responsibility to individual raw milk producers to ensure they are taking care of all the risks on the farm, and that individual, on-farm food safety plans can be very valuable to increase food safety. It is evident that the FSA is willing to work with raw milk experts, dairy farmers and information from consumers, and even allow the newly established UK raw milk producer group to work directly with raw milk experts. At the Food Standards Agency in the UK’s latest meeting in December, they discussed how work of the past year aim to find strategic ways using social science, to hear what people in the community are saying around food safety issues, and engaging with changing trends better. They now understand that the world is changing, and that they have to change as well. There is an acknowledgment that people (especially the younger generations like the millennials) have different mindsets, and that the FSA need to look through different lenses at their own policies and interventions, and re-evaluate them if they want to influence people. The FSA released a Raw Drinking Milk Consumer Research final report at the start of 2018 based on the findings of a survey. It found that "the proportion of the population currently consuming RDM has increased from 3% of the population in 2012, to 10% of the population in 2018." It also compared these findings to a 2012 survey that shows a shift to more frequent consumption amongst consumers of RDM. This also highlights the need for improvements to existing systems. The UK RDM producers came together early in 2018 and started their own producer group. They hope to connect, support and share information between producers, and work with regulators to guide appropriate and proportionate controls for the production of RDM. There are around 170 registered raw milk producers with the Food Standards Agency. Raw milk from cows, goats, sheep and buffalo are produced and sold directly to the public. The details have not been publicly released, however, there is reportedly much activity behind the scenes to upgrade the systems. According to reports, the 170 producers may even receive Raw Milk Institute training later in the year. Hook and Son dairy is the largest producer of RDM in the UK and has been selling for more than a decade. This dairy is one recent example of how the current system in England is disadvantaging dairy farmers. The following is a fine example of the kind of rules, and application of rules, that needs to be compassionately reconsidered. Recently the Raw Milk Institute put out a call to all raw milk supporters around the world to help Hook and Son survive the latest restrictions put on them. “In California, this autopsy finding would have immediately released the herd for continued raw milk production. For some reason in the UK, this did not occur and the dairy was mandated to continue under quarantine for any raw dairy products, with the dairy being approved only pasteurized dairy production. This is killing the dairy. Few raw milk customers want pasteurized dairy. They want raw dairy! We have an innocent beloved raw milk dairy that needs our help and they need it now. Please go to the GO FUND ME link and give every bit you can." Hook and Son dairy has been in the process of becoming RAWMI-listed for some time, and are in the final stages. RAWMI will be visiting the dairy in late January for the on the ground inspection, and have the RAWMI board review this data for listing in early February 2019. Stricter controls across all aspects of production. Implementation of a robust food safety plan and procedures including detailed HACCP plans with specific requirements. Shelf Life advisory based on FSAI recommendations and food law. Stringent testing regime for process hygiene criteria and pathogens. An extra advisory label is mandatory for all producers who have signed up to the guidelines. New Zealand’s previous raw milk cheese system was so dysfunctional and burdensome with red tape that it was frequently criticised in the public eye. One of biggest objectors was cheesemaker Biddy Frazer-Davis. She had the courage to speak her mind, publicly disassemble the system and explain how farmers were “drowning in a vat of compliance” with an over-the-top, scale-inappropriate system. Regulations offered little to no flexibility for her small dairy setup. The problem was the sheer cost of fees and compliance, plus the frustration of what she called absurd bureaucracy. The risks involved between an industrial setup, and one like Biddy's, were worlds apart. Biddy and others worked with authorities and the old system was scrapped. In May 2018 a simpler food safety template for raw cheesemaking took its place. New Zealand MPI installed a regulated RDM system in 2016, and there was light to severe criticism right from the start. Raw milk supporters say they were not consulted in the creation of the system, and raw milk producers were not consulted on some of the most important issues. There was disappointment because according to Ray Ridings, Chairman of the Raw Milk Producers Association of New Zealand at the time, MPI did not discuss with producers the issue of banning collection points, which resulted in reduced access for consumers, especially in areas where it isn't viable for farmers to deliver. Consumers and dairy farmers made multiple complains and pleas for the system to change. It was only after a food safety expert expressed his disapproval because the system produced the occasional food safety recall, that MPI made a public response and took action. MPI admitted that they consider the RDM their own system produce as high-risk. In the meantime, illegal ‘bath milk’ operations were also operating out of frustration with the system, according to media reports. It was announced in September 2018 that a review of the system was to start in November 2018, and the results are to be presented to the Food Safety Minister mid 2019. In 2018, there were 6 food recalls for raw milk. Between 2009 and 2016, there were 46 outbreaks of illness where consuming raw milk was a risk factor, however, that was before raw milk was regulated, which mainstream media often fail to report. The Society for Risk Analysis launched the Whole Truth, Whole Milk campaign in December 2018 to document scientific evidence of health benefits and risks of the raw milk microbiota. The funds raised can help the team to prepare a thorough, objective peer-reviewed manuscript on the benefits and risks of raw milks (from humans and cows), as well as educational materials targeting consumers, farmers, legislators, regulators, and scientists. Learn more here. Many American states can now produce and sell raw milk in some form, see the raw milk nation map. However, taking raw milk across state borders has always been contentious, despite it being an everyday occurrence. On September 26, 2018, the Real Food Consumer Coalition with co-founder Liz Reitzig hosted an event on Capitol Hill in celebration of real foods, including raw dairy products. Attorney Jonathan Emord spoke about the importance of having access to the foods we choose, specifically, as applied to raw milk, and we can acquire this through labelling rather than aggressive enforcement practices. The small farmer advocacy day with lawmakers showed support for Congressman Thomas Massie's PRIME Act, Congressman Lloyd Smucker's championship of small dairy farmers and promoting small farm produce growth. 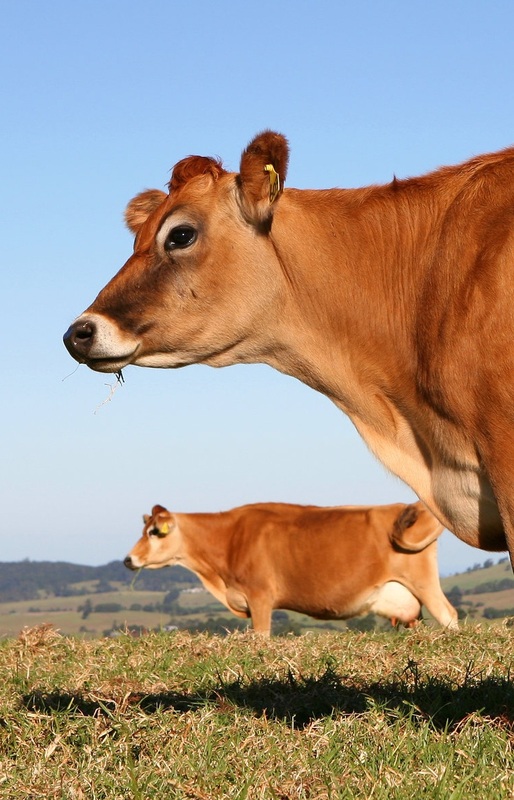 Australia has made a few changes in recent years that affect raw dairy products. Some of them are transparent, and some are challenging to understand. We have yet to determine how some will affect Australian consumers. Raw milk cheese was legalised in 2015 in Australia but growth has been very slow, with only about a handful of producers, due to overly “strict and impractical” Australian production standards. A $68,000 grant was recently given to four South Australian cheesemakers to help them "crack the luxury food market overseas", and export their raw milk cheese. Many of Australians cannot afford to buy the locally produced raw milk cheese from the Australian raw cheesemakers, because the cheese have to sell for around $200/kg to make it viable for the producers. These “strict and impractical” regulations also cut Australian dairy farmers off from an opportunity to diversify. The Daniel Andrews’ Labor government made election promises to establish a $10 million grant fund, if re-elected, to take Victorian-made food from small-scale businesses overseas. Daniel Andrews has been re-elected, but it is not certain how this system will function, who it will benefit most, and how it will affect local Victorians who also want to buy, eat and enjoy local artisanal produce. Many Victorians realise that resilience lies in local food for local communities, not primarily in export. New regulations have come into effect, that may limit the current variety of imported raw milk cheese sold in Australia. The only imported cheese that seem to have been 'officially' recognised as permitted for sale, is Roquefort. All the other imported raw milk cheeses that Australian consumers have enjoyed for many years, now seem to have been deemed unsafe for consumption, unless it meets with government certification requirements that are very “strict and impractical”, read more here. According to the Agriculture.go.au website, raw milk cheese from New Zealand will not be inspected or analysed, because Australia and New Zealand have agreed to mutual recognition for the food safety controls for this food. Niall Blair, Minister for Primary Industries has signed off on amendments to the NSW Food Act mid 2018. It affects how raw milk is managed in the state. It seems possible that the amendments have introduced manoeuvring that make ‘bath milk’ unavailable in NSW. Raw goat milk for human consumption has been legally produced in NSW for many years, but raw ‘bath milk’ for cosmetic purposes was also sold on and off for over a decade. Raw milk supporters report that they’ve been told it is now illegal to sell raw ‘bath milk’ in NSW. The ‘bath milk issue was addressed late last year after many years of silence on the true cost to both producers of ‘bath milk’ and buyers, read more here. This dysfunctional ‘system’ is not serving dairy farmers and consumers in a wholesome way. Some developing countries have also recently taken steps to increase the safety and quality of their dairy systems. This is partly because in these countries, farmers produce raw milk intended to be pasteurised, to be sold as a pasteurised product, but the farmers also consume the raw milk in its pre-pasteurised state. There are public health concerns, because if this raw milk intended for pasteurisation is not produced to high standards, it can be a reservoir or a vehicle for transmission of food-borne pathogens, such as Campylobacter, Listeria monocytogenes or Salmonella. It can be a hazard for the farmers to consume this kind of unpasteurised milk in the raw state. According to this article from late last year, nearly half of the milk samples tested by India’s food safety regulator, FSSAI (Food Safety and Standards Authority), which includes raw milk and processed milk, have been found to be non-compliant in terms of the country’s required standards. Of this, 10% samples were found to be unsafe, raising concerns over the better regulation and testing of milk consumed in the country. FSSAI chief executive Pawan Agarwal maintained that milk in India is "largely safe" though there are quality issues, which are being looked at by the regulator. The unsafe contaminants are coming mainly from "poor farm practices", he said. They are going a detailed investigation and will soon take action to resolve issues. According to the article, estimates show that current consumption of raw milk is much more because most of the population resides in rural areas. In addition, India has also seen an increase in dairies who are offering unpasteurised milk direct to the public. It is not certain, however, what kind of integrity this raw milk has, because there is no set system with production standards for raw milk produced with the intent to be consumed raw. Some individual dairies may be producing excellent quality RDM, and others may not be. If there is not one set production system, or at least full transparency between the individual farmer to an informed consumer, anxiety and uncertainty over food safety will continue. Ethiopia is another country who are working to make their dairy food supply safer. According to Assistant Professor of Food Science Jasna Kovac, (who is the project leader for Penn State’s College of Agricultural Sciences) in this article, she noted that the consumption of raw milk is common in Ethiopia. She says that improvements in raw milk handling are becoming a necessity, to enhance quality and safety of milk and milk products in the country. Thanks to a generous near $1 million grant, Penn State's College of Agricultural Sciences will collaborate with scientists at Addis Ababa University and Kansas State University in Ethiopia on a project to improve the safety and quality of Ethiopian dairy foods. Some in the state of Pennsylvania in the USA have intimate knowledge and experience of dairy, both processed and unprocessed. Pennsylvania has enjoyed a regulated raw milk industry for more than a decade. The raw milk movement has great momentum behind it. Around the world it is evident that the raw milk movement has a potent and very dedicated force of individuals behind it. Many are working to create fair solutions. In the midst of polarity, people are recognising the opportunity and desire for unity. This is often a calling from the heart, because a lot of the work is unpaid, and it is often costing raw milk supporters quite a bit from their own pockets. of a good system for the production of raw cow’s milk, produced expressly for human consumption. We may have a regulated raw goat’s milk industry, but many Australian authorities are still in denial that there can be two kinds of raw milk from cows: one produced for pasteurisation, and another for human consumption. There has to be co-operation. There has to be social inclusion of RDM experts and dairy farmers who understand raw milk systems, as well as those most passionate about a system’s success; the raw milk supporters. For more information on how to identify and reduce potential problems around raw milk production, see the 11 categories of the Risk Identification and Risk Reduction Program. Posted on January 13, 2019 by ARMM Admin and filed under Raw Milk regulation, Raw Milk Safety and tagged raw milk articles raw milk in australia raw milk institute pitfalls in raw milk systems.